TORONTO, ON – Black Oak Brewery has announced that its full line-up of packaged beers are now available in newly designed cans. 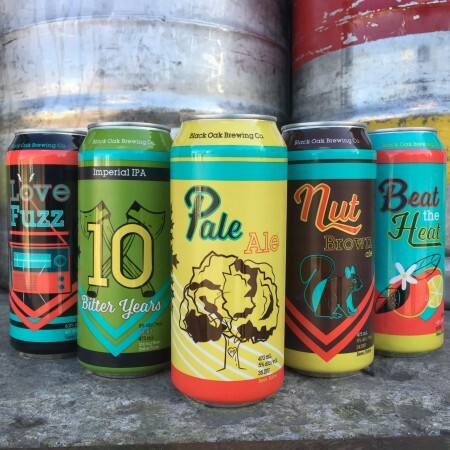 Following on the earlier revamps for seasonal beers Beat The Heat and Love Fuzz, new look cans of the brewery’s three core brands – Pale Ale, Brown Ale, and 10 Bitter Years IIPA – are being rolled out now. The new Black Oak cans will be on shelves soon at LCBO and grocery store locations throughout Ontario. They can also be seen on the relaunched Black Oak website, which sports a new design by Addrenaline Media.